In the nearly ten years since its creation Juilliard’s Historical Performance program has done a formidable job of presenting rarely heard works from Handel’s early years in Italy, c. 1706-09. William Christie has conducted Il Trionfo del Tempo e del Disinganno and Le Resurrezione, as well as Silete Venti, all with Ying Fang, now a Met soprano, while Nicholas McGegan led a fetching Clori Tirsi e Fileno and last spring the school mounted Agrippina with National Council Auditions winner Samantha Hankey and breakdancing countertenor Jakub Józef Orlinski. Christie also performed the motet Saeviet tellus with Deanna Breiwick in 2010 but Saturday’s concert was the first by the group to tackle that period’s sacred choral pieces. Although I knew the famous Dixit Dominus I had never heard any of the other Latin works included on a recording released in the mid-1980sof the other so-called “Roman Vespers” conducted by Michael Korn. Those pedestrian performances however didn’t trigger the revelation that Andrew Parrott’s “Carmelite Vespers” did several years later. But until this weekend’s J415/Vox Luminis concert I had never experienced the Nisi Dominus, Laudate pueri or even the Dixit live. 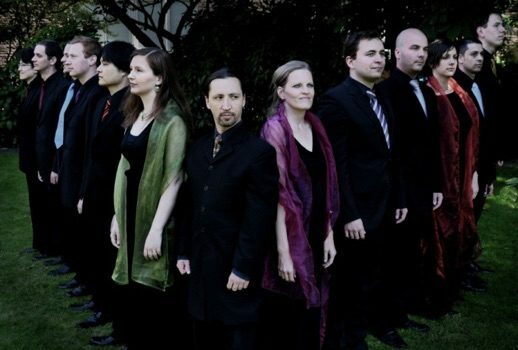 Vox Luminis was founded in 2004 by bass-conductor Lionel Meunier and has already produced an impressive discography including its newest CD of the Bach Magnificat paired with Handel’s Dixit Dominus, one of the works it performed at Alice Tully. Since I experienced John Eliot Gardiner and his 28-member Monteverdi Choir soaring in Israel in Egypt at huge Avery Fisher Hall in 1989 I’ve always preferred smaller choruses in 18th century music. Vox’s ten effortlessly filled Tully with glowing sound and wonderfully clear textures. Initially going for warmth and roundness in the Nisi Dominus they gradually added fire and bite to the concluding Dixit Dominus particularly in the astonishingly harsh “Judicabit” which describes God judging the nations and shattering the skulls of the wicked. Like Gardiner, Meunier taps members of the chorus for the solos and although not all reached the highest level there was some very fine singing particularly from countertenor Alexander Chance and sopranos Caroline Weynants and Zsuzsi Töth who blended seraphically in the “De torrente” duet of the Dixit, one of Handel’s most transporting pieces. Will anything else in 2018 surpass the sublimity reached in those few minutes? Before intermission the bravura solo motet with chorus Laudate pueri featured young Juilliard soprano Anneliese Klenetsky who handled the piece’s fiendish difficulties with surprising ease. While a weak lower register sometimes betrayed her, her bright high notes gleamed. Her pearly coloratura needed only more consistent breath control to conquer Handel’s nearly superhuman demands. By the time she reached the piece’s seventh section “Qui habitare facit” one could sense that she was hugely relieved the finish line was near and her singing relaxed so that the “Gloria Patri” with the chorus concluded the piece quite joyously. The program’s other soloist was Sarah Jane Kenner in the B-flat major violin concerto—wait! what? I’d never before heard of a Handel violin concerto but the program notes pled that it was actually a “Sonata a 5” for violin, oboes (omitted here), strings and continuo. It sounded quite odd particularly the bewilderingly slow Adagio but Kenner played the piece nicely albeit with some edgy tone in the opening Andante. The orchestra next turns its attention northward from Italy to one of the season’s most eagerly awaited events: a staging in April of Rameau’s towering masterpiece Hippolyte et Aricie (perhaps this city’s first-ever homegrown production?) directed by Stephen Wadsworth and conducted by Stephen Stubbs.